I entered the semifinal results in the spreadsheet, so it is now available in both Excel and .csv formats. 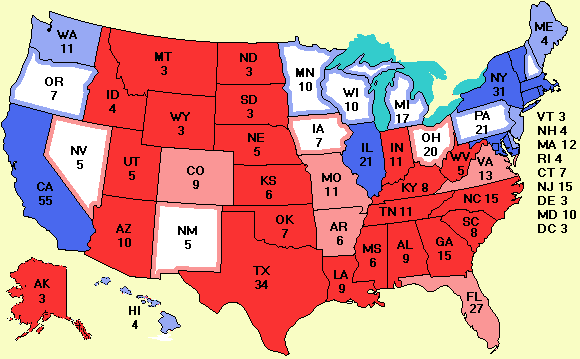 Here is a county-by-county map of the U.S. showing who won where. From looking at the map, you wouldn't know that almost half the population voted for Kerry. It shows very clearly how Kerry's base is in highly-populated urban areas and Bush's base is more in suburban and rural areas. Another map tomorrow. For comparison purposes, here is the county map for 2000.